Posted in 12 Days of Christmas Nail Art '15, blog business, challenge, Link Ups, Nail Art	by Jessica W.
Good evening all! 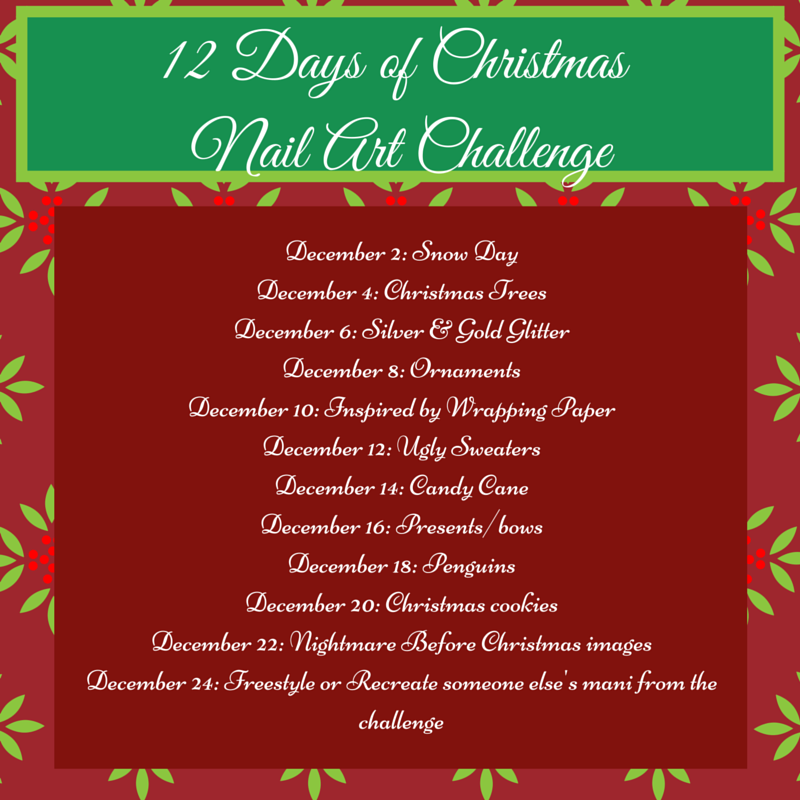 Just a quick announcement that Challenge Your Nail Art group, after a long hiatus, will be hosting the ’12 Days of Christmas’ nail art challenge again. Anyone, of any skill level, is welcome to join in the fun – whether you freehand your nail art or use nail art stamping, or a combination of both! You can join our Facebook group to see everyone’s manicures, and if you blog or have an instagram account, link up with us. If you spread the word to your blog readers, please link back to this post so people can see the link-up graphic and inlinkz. The following links will take you to get the inlinkz code for each day. You will still have to upload your link to the link up when your blog post (or instagram photo) goes live. Each inlinkz will be open December 1 through December 26, in case you are running a day (or two) behind! I can’t wait! It was such a fun experience last year! Sounds like fun! I’m going to join.